Most of the victims were civilians. IS fighers also penetrated into private homes, killing residents. The south-west area of the country still has jihadist pockets. Hundreds of White Helmets fled a few days ago from the same area with the help of Israel. 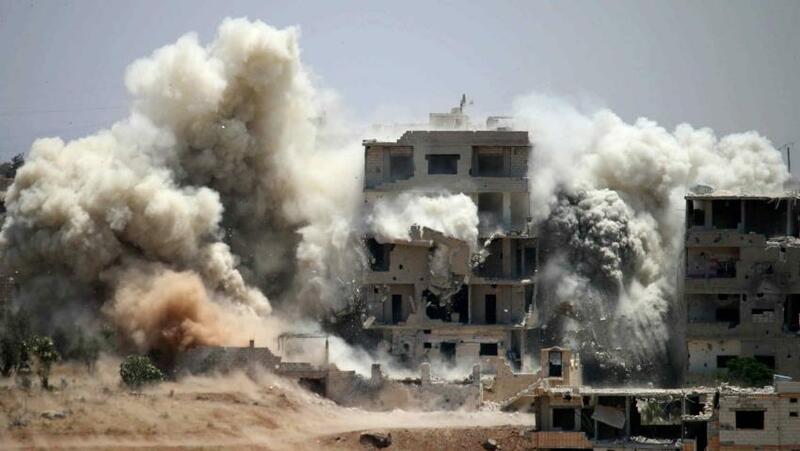 Damascus (AsiaNews/Agencies) – Nearly 250 people died as a result of several coordinated attacks in Suweida, Southwest Syria, a government-controlled area. The Islamic State (IS) group claimed responsibility for the attacks. At least 135 civilians were killed in gun battles and suicide bombings. IS launched a series of suicide attacks in Suweida and in some neighbouring villages, south and east of the city, the Syrian Observatory Human Rights reported. IS fighters also penetrated into private homes, killing the residents. IS and affiliated groups controlled the whole area until a year ago but was lost up to 98 per cent of the territory at the beginning of this year. Some pockets remain in the southern provinces of Suweida and Deraa as well as in parts of the country’s east. Meanwhile, last Sunday, hundreds of White Helmets managed to escape with their families for the West through southern Syria with the help of Israel. The White Helmets act as civil defence volunteers, helping civilians after bombings and shelling, but only in rebel-held areas. Several observers suspect they were allied with the jihadists and acted as infiltrators used as spies by Western and Gulf countries.